You can always find a distraction if you’re looking for one. An hour later, you push back from the desk and wonder what happened to your writing time. If you’re reading this on your computer, phone or tablet, you’ll know exactly what I mean. There were still problems with typewriters. Making corrections was awkward. So was making copies. In the days before photocopiers, carbon paper was the only way to go; tissue-thin stuff that you interleaved between pages. If you struck each key firmly enough, you could get three or even four copies simultaneously, although readability disappeared rapidly with depth, and just handling the stuff left you looking like you’d been fingerprinted by the police. Word processors emerged in the 1960s as an offshoot of the computer revolution. (The term “word processing” was one of the New York Times hip buzz words for 1971.) And they really were a revolution. You could cut and paste paragraphs without a glue pot, move things around without having to renumber all your pages, and even search and replace text. No more needing to sit down and retype the whole thing to produce a clean copy because you always had it on file and could print out a pristine draft (on your dot-matrix printer, of course) any time you liked. It was pretty damn good, actually. Not perfect, but close. Headings, different fonts, centring text, italicising, page numbering and so on required the use of arcane commands and control characters that just had to be learned. Screens were green, you see, with 80 or 132 fixed-width characters per line, so you were never really sure you’d got everything right until you did a printout. Then along came GUIs (Graphical User Interfaces) with WYSIWYG (What You See Is What You Get) displays. What’s on screen is exactly what you’ll see on the printed page, which is pretty bloody fantastic when you think about it, but it also leads to a subtle problem I’ll mention shortly. For now, there’s another, bigger one. A huge one, in fact. Don’t get me wrong, I couldn’t live without a word processor. In school, my handwriting was so bad that I took up printing, and in high school I typed all my assignments and essays – two-fingered on a clackety old Olivetti – because if I wrote them out longhand even I would struggle to read them a week later. When home computers emerged, I was there. My first proper computer was the magnificent BBC Micro. 32KB RAM, a full-size keyboard and a 5¼ inch floppy disk drive for storage. The word processor came on a ROM chip that plugged into the motherboard and you started it with the command: *WORD. That was it. The computer was now a word processor, nothing more. You couldn’t switch backwards and forwards and play games or use it for anything else. Bliss! If Dickens or Dostoevsky wanted to check the latest news or tomorrow’s weather, they’d have to send out for a copy of the newspaper. All we have to do is Alt-Tab (or Cmd-Tab if you’re on a Mac) and flick to another window. So easy. And horribly distracting! For years now, computers have been so powerful they can run multiple applications at once. You can design a book cover, play music, track breaking news, keep an eye on your email and social media accounts, all while working on your next (or first) novel. Amazing! Have you ever walked into a room intent on doing something, then forgotten what it was when you got there? It’s a common experience – it’s called the Doorway Effect – and has a simple, evolutionary explanation. To our brains, changing rooms is equivalent to a sudden change in our environment, and that causes our attention to be reset at a deep, subconscious level. (Are there any threats here? Food sources? Friends or foes?) Our previous mental state is overridden for a few tenths of a second as we take in the environmental change. And guess what? You don’t need to change rooms to suffer the Doorway Effect. Just doing an Alt-Tab (or a Cmd-Tab) will do it. Research dating back as far as 1927 shows that human beings are rubbish at doing more than one or two things at once. Oh sure, we can all walk and chew gum at the same time, even hold a conversation too, but any real brain work – stuff that requires careful thought and concentration – requires focus. Each time you swap tasks on your computer, your brain does a sort of mini reset, and while each reset may only take a fraction of a second, it can add up to a 40% loss of efficiency. And that’s just doing mundane office tasks, not the particular focus and concentration that writing demands. People who claim to be good at multitasking are really just fooling themselves. All they’re actually doing is several things at once, poorly. Think about that next time your email program pings to say you’ve got a message, or you flip over to check Facebook, or send a quick text on your phone. The solution’s simple and obvious. Turn off your phone, (or mute it and toss it in a drawer), then shut down everything on your computer except for the word processor. Set your timer for a pomodoro-period and get to work. Easy. But sometimes people struggle with doing that and need a little outside help. A friend in the hardware business reckons there’s no hardware problem that can’t be solved by buying more hardware. (Well, he would say that.) In the same vein, if you really don’t have the willpower to keep away from other programs when you should be writing, you might consider installing another program. The free version has a timer and blocks websites. The paid version, (a one-time payment), also blocks applications. You might like to bundle it with Cold Turkey Writer Pro which lets you set a minimum word count or work time and won’t quit until you’re done. An internet, app and website blocker. Has a free 7-use trial. Thereafter it’s a modest monthly fee. A slightly more focused blocker, Anti-Social only blocks websites that make you unproductive. Start it up and you won’t be able to access Twitter, Facebook, Flickr, Digg, Reddit, YouTube, Hulu, Vimeo, or any standard web email programs. It’s fully customisable, comes at a fixed price, and a trial version is available. What about buying a dedicated computer or laptop just for your writing? Seriously. You don’t need anything particularly modern, whiz-bang or stylish, or even spend much money. 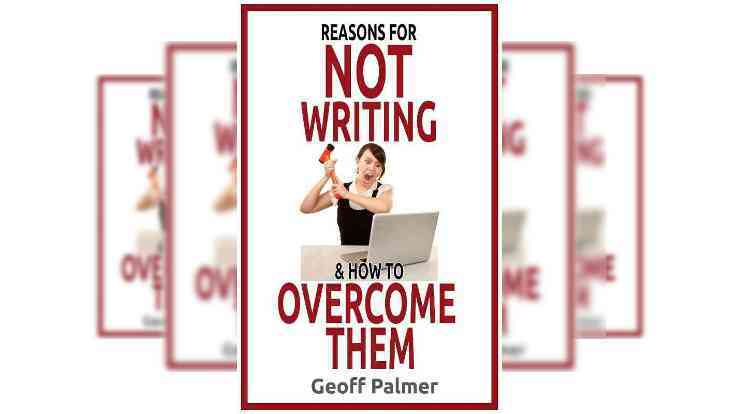 I’ve yet to come across a word processor – even the one on my old BBC Micro – that can’t keep up with my sluggish typing speed, and if you don’t connect it to the internet, so much the better. I won’t get too technical here – it’s beyond the scope of this book – but you’ll find Linux CD/DVDs included as cover disks on many Linux magazines, or you can download and burn a disk yourself. Personally, I recommend the Ubuntu distribution (visit http://www.ubuntu.com/desktop). Two words of warning: Your old machine will almost certainly come with an old version of Windows. Linux will happily co-exist with it, and you can choose which operating system to run at boot time, but be careful with old versions of Windows, especially Windows XP. If you connect XP to the internet, you’re simply connecting up a virus magnet. You’re much better, and safer, sticking with Linux. The other caution is to make sure you do regular backups. Older hardware may not be as reliable as brand new gear, but even that’s no guarantee. I’ve had new hard disk drives die after two hours, and whole systems die after two weeks. If you’ve got the money and fancy a stylish, dedicated, distraction-free word processor – actually billed at the world’s first smart typewriter – you might like to check out the Freewrite. Visit http://getfreewrite.com. Early on in this chapter, I hinted at another subtle problem with working on a computer. Let’s address it now because it can be a killer. These are perhaps the sneakiest of all distractions because of the way they come dressed: they’re always quite definitely writing-related. I resisted. I know the cunning ways of such distractions now. And I know how to deal with them. I simply followed the term with two question marks, like this: “It might have been a pickpocket? ?” she said. Then I carried on. Those double question marks are an easily-searchable indication for things I need to check later – outside of my writing time. Why is this important? Because writing-related distractions are rabbit holes you can fall down and lose yourself in without even noticing. At least until you come to your senses, sometimes hours later, wondering why you’re running late for work. Oh, you’ve been splendidly entertained. Engrossed, even. And you’re wiser too. But you’ve got nothing done! I can’t tell you how many times I’ve fallen into this sneaky trap. Before computers, checking something like the etymology of the word pickpocket would have required a note on a pad followed sometime later by a trip to the library. Now all that’s required is a trip to the search engine. It’s deadly! And subtle! Solikha Duong was nine years old when she killed two men. Solikha was originally just “aa”. I needed a Cambodian name, but I also needed to get on with a story that was unfolding as I typed. So I made up something that was easily searchable and carried on. Later, in non-writing time, I did some research over a glass of wine and came up with a particularly suitable name – which you’ll discover if you read the book – then did a quick find-and-replace. I can’t stress how important this is, or how subtle it can be. Anything that threatens to break you out of your creative, story-telling state must be resisted. Leave it till later when you’re in a different frame of mind, because only writing is writing. I later discover (via Online Etymology that the word “pickpocket” dates back to the 1590s, became a verb in the 1670s, and had its origins in the term “pick-purse” from the late fourteenth century. Fascinating stuff. Very distraction-worthy. But it’s not actually writing. In the end, I didn’t use it. I cut that scene from the final novel. There’s one other writing distraction I haven’t covered yet, and it’s equally insidious. It comes under the term of futzing, and your computer actually encourages it. Changing the background, realigning your desktop icons, changing your preferences or colour scheme; it’s all futzing. Messing around. Time-wasting dithering that can really seem important but actually isn’t. You can even do it inside your word processor. Should that font be sans or serif? Would chapter headings be better at 14pt? I wonder what this option does …? And turn off spelling and grammar checking as you type. It only on encourages another sort of futzing. Did I mean to use the passive voice there? OMG, there are sentence fragments all over the place! I leave spell-checking to the very end of a story or book. It’s a sort of reward; a mark of completion. And I never use the grammar checker. I’m in charge of this text, not some anonymous programmer. If you want to send and receive emails, fine, do that. Browse the web? Go right ahead. Play a quick game of Solitaire? No problem. But if you want to write, properly and well, shut everything off but your word processor. Hell, even disconnect from the internet if you really can’t trust yourself not to take a peek at Twitter or Facebook. And shut off your mobile phone too. If you’re really so important that you absolutely have to be available 24/7, maybe you should focus on that role and come back to writing later. Seriously, will the world stop turning if you can’t be reached for an hour? Yes, I know, it’s simple in theory but difficult in practice. Some people find it almost impossible, at least to begin with. All I can suggest is you start small. Pomodoro slices of 25 minutes followed by a five-minute distraction-blitz, then back to work. In time, you’ll come to relish being distraction free. And you’ll also see a marked increase in your daily word count. Remember, only writing is writing. ♦ Become aware of distractions, both external ones – such message-received beeps from your phone – and internal ones – such as spelling and grammar checking, or simply playing around with the look of your PC when you should be writing. 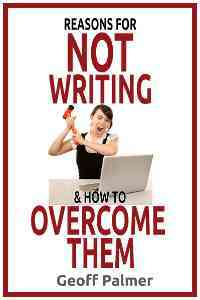 ♦ While you’re writing, shut off external distractions. That includes your phone, email, internet browser, etc. ♦ Avoid multitasking. Writing requires focus and concentration.